Perhaps because I grew up in (near) Chicago, I discovered blues guitar early on in my life. My guitar teacher saw that I was interested in the blues, and he basically told me to run to the nearest record store (yes, it was literally a record store) and pick up B.B. King’s Live at the Regal. B.B.’s incredible phrasing (both vocally and on the guitar) caught my ear right away, and the audible reactions from the audience throughout the whole album are indicative of the power of the blues. 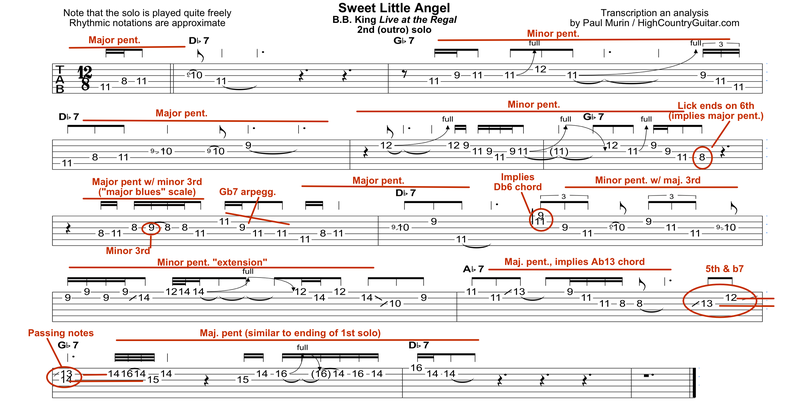 Here is the full audio track, along with a clean tab of both solos in PDF format, without annotations, ready to print. 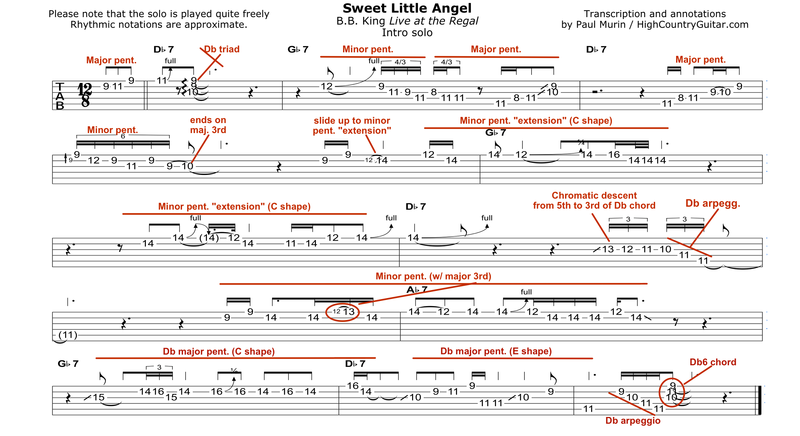 Scroll down for audio of the individual solos, and annotated tabs.